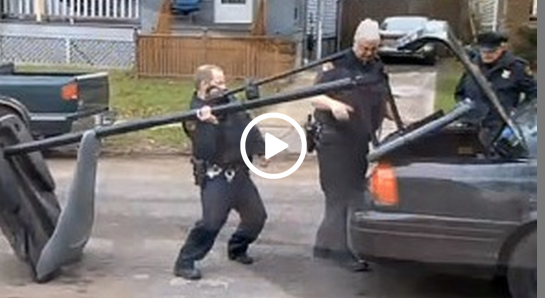 Cops Take Basketball Hoop From Good Neighborhood Kids. In the city of Cleveland a woman, Cheri Fiorilli, is speaking out after officers dragged away a basketball hoop she bought for the neighborhood kids. She rewarded the kids with a basketball hoop because they regularly helped her with the yard work. She said they were good kids who stayed out of trouble and she wanted to make sure they could have fun playing in the neighborhood. 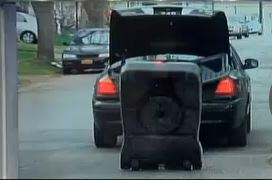 Without notice or warning, the police dragged the hoop away behind their vehicle. She offered to move it, she apologized to them, but they said they were not offering her any opportunity to do so. Not only did they take the basketball hoop, they also gave Fiorilli a ticket once she admitted she was the one who purchased the hoop and set it in the street. The officer also said to her, “I need to see your driver’s license again. If not, I have to arrest you for refusing to comply.” Extremely upset, Fiorilli told the officers how disgusted she was with their actions. She now has a ticket and $182 in court fees.